For churches in many denominations, Good Friday services are often the most dramatic, the most meaningful – and the least-attended. 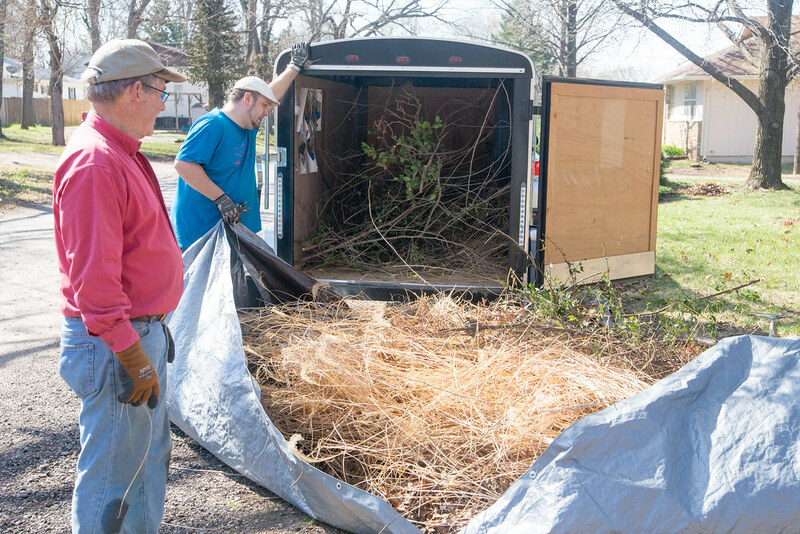 So for their first “Doing Good Friday,” parishioners at Winfield Grace UMC spent March 30 making improvements to their church, neighborhood and city. About 60 church members – about triple the attendance for last year’s Good Friday services, Andrews said – fanned out throughout the south central Kansas community. Some cleaned yards, some delivered the cookie supply for the rest of the year to the elementary school the church sponsors. Some cleaned along the trail by Southwestern College, Grace UMC’s neighbor. Others stayed at the church, painting the front steps or cleaning up in the Sensory Garden on the church grounds. Many Southwestern students were among the volunteers, with generations working together on projects. One of those Southwestern students was Rebeca Dominguez, a freshman who worked in the Sensory Garden. “It’s a good opportunity to serve and do something for the community,” said Dominguez, a graduate of Lydia Patterson Institute in El Paso, Texas. The college students were among those working with different generations, including Lynne Hunter, who said the six-year-old Sensory Garden – built on the site of a former parsonage and including nature-based play area for preschoolers – got some much-needed upkeep. Andrews said “Doing Good Friday” would likely be continued for a second year, given the growing enthusiasm about the project.